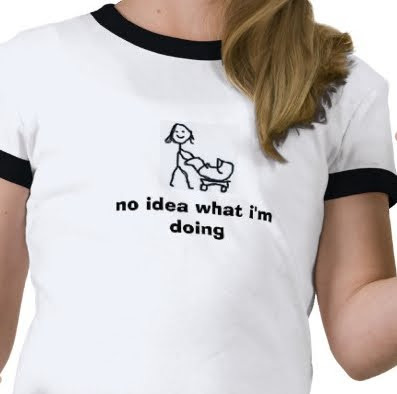 hey jen renee: it's a mom thing. If you're a mom, you will recognize these two lovely ladies. 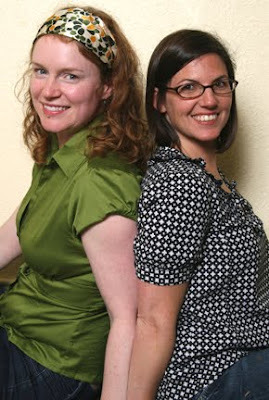 They're Heather and Whitney – the faces behind Rookie Moms – two geeky girls' guide to the first year of motherhood. (And beyond.) I'm kind of a big fan. I have turned to this site time and time again since Lo was born for crafty ideas, fun activities, a healthy dose of honesty and a good laugh. They offer a handy age-appropriate guide of great things for moms to do (with their baby or without) during those first few years of motherhood. Even experienced parents are going to find a lot of really cool new ideas. Crafty tutorials like this one (one of my favorites) that are simple and quick enough for new moms to tackle. 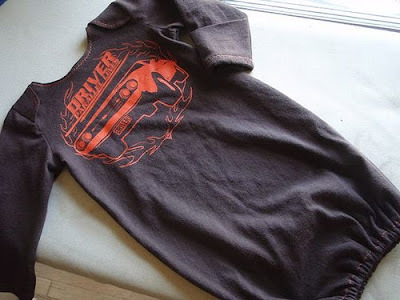 I also love the DIY t-shirt toddler pants and newborn hat and this upcycled t-shirt project. 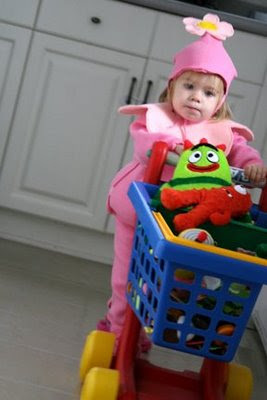 And today, Rookie Moms is featuring my how-to instructions for making Lo's Yo Gabba Gabba Foofa costume from last Halloween. I am so thrilled. I have had several emails asking for the details about this costume, so I hope this is helpful! 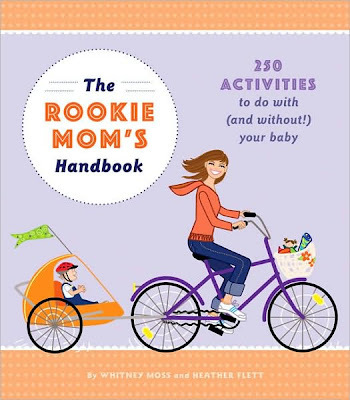 If you're looking for more Rookie Mom greatness (or need the perfect baby shower gift,) you really need to pick up The Rookie Mom's Handbook. 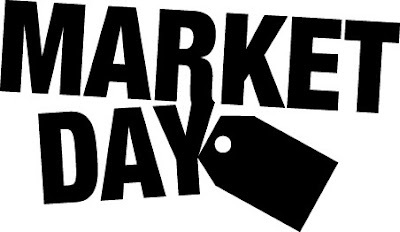 Also, check out Market Street Media Foundry today – they are featuring Market Day makers each day this week, and my stuff is featured today! Alright – now for a quickie weekend re-cap! I made some sweet hand-knit baby shoes and sent them off to a long-distance pal. And Lo and I headed to Minnesota to celebrate the arrival of a very special little baby girl. This new mama is one of my childhood friends and her little sweetie is the result of nine years of ups and downs, lots of love and determination. Yup, this is a very, very special and celebrated baby indeed. We also got to spend the day with another close friend and her two girls. Jane, Andrea and I were basically the three musketeers throughout school. And now, we all have little girls! Since we were in Blue Earth (our old stomping grounds,) Jane and I took our bigger girls to see the Green Giant. Something we've kind of grown up with, but haven't really visited since we were little. In December, Mr. Giant wears a red scarf. But we were a little early for that. We're hoping for an increase in the kids' vegetable intake after this visit. Later, we just let the girls play while we caught up on girl talk and next thing we knew, we had a princess dress-up party. It's pretty unbelievable to think back to high school, when Jane and Andrea and I were doing each others' hair, borrowing clothes and shopping for prom dresses. Now we're all moms and we're all in this together. And it's a pretty special milestone. We share advice, worries, success stories and plans for future slumber parties. It's a such a sweet sight to look over and see one of Jane's girls putting a Cinderella dress on Lo and I can't help but flash forward to their prom dresses, bridesmaid dresses and all of the crazy fun times ahead. Girlfriends in progress. Such a great post Jen!!! I am going to pass on those ladies to all my new mommy friend's. Thank you for your kind words and your cute tutorial. I'm off to find an orange sweatshirt today! ps- you won my kitty robot giveaway! yay! You are the cooliest, saw the post on Rookie Moms. Love it and love their site too. Also omg you won Amy Tangerine stuff, yay! The booties rock--I really like how you did the laces. I think I like even better than ribbon. Sweet. Thanks, Jen! You have such a great eye for design. I hope you will feel free to contribute to Rookie Moms anytime! It's so amazing to find like-minded women across the country (using this here computer thingy doo) to swap ideas and inspiration. supersweet photos! congrats on the feature!